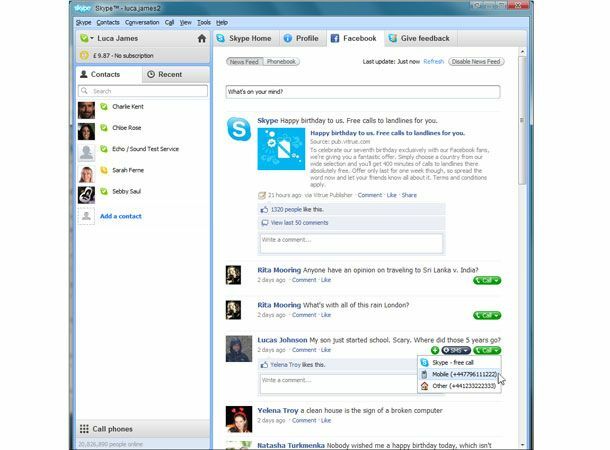 Skype: "We're not worried about Facebook's privacy issues"
Are Facebook's privacy issues a concern for the new Skype 5 service? Following the unveiling of Skype 5 with new Facebook integration, the VoIP service has spoken out over the safety of the social networking website refuting claims of privacy issues. The new Skype 5 service syncs with users Facebook accounts to make getting in touch with friends even easier. However, last week's storm over Facebook's iPhone app showing users numbers of people they had never met, Skype has been forced to defend its Facebook phonebook integration. So what do you reckon? Will Facebook's privacy track record put you off syncing your contacts in Skype? Let us know via the T3 Twitter and Facebook feeds, if you can face the privacy concerns that is.